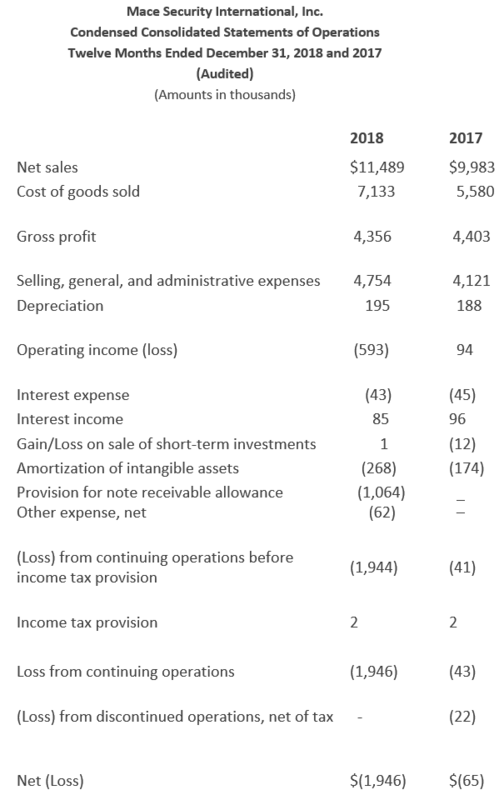 Net loss of ($1,946,000) for 2018, which includes non-cash charges totaling $1,514,000 for Note Receivable write-downs, inventory write-downs, and other non-cash charges. 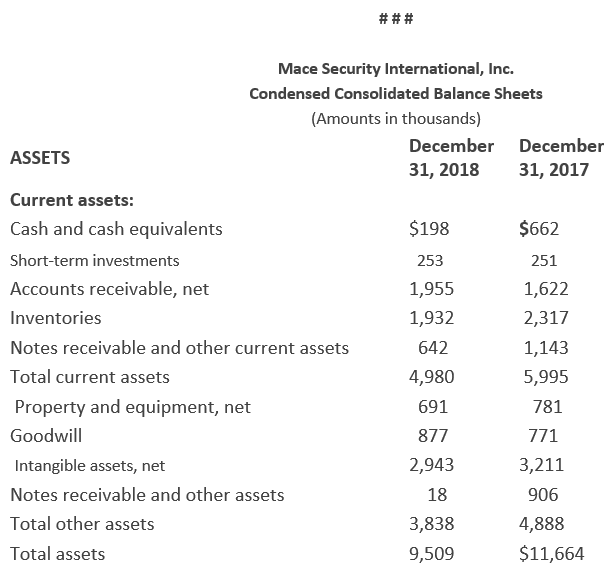 CLEVELAND, Ohio – Mace Security International Inc. (OTCQX: MACE) today released audited financial results for the year ended December 31, 2018. The Company is pleased to announce another year of double-digit growth in 2018. 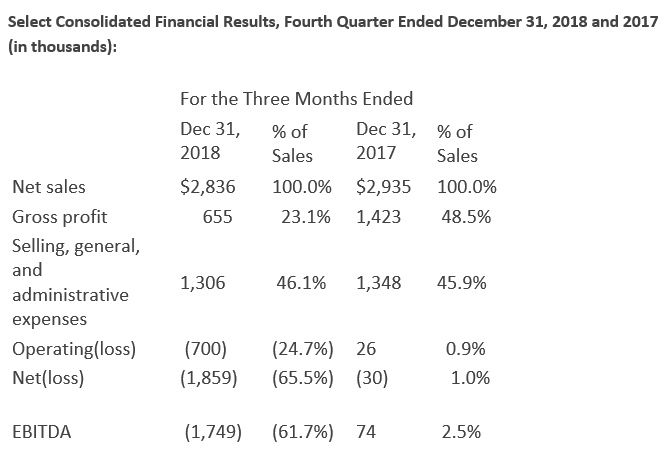 The Company has grown its top line sales through organic growth as well as benefiting from prior year strategic acquisitions. 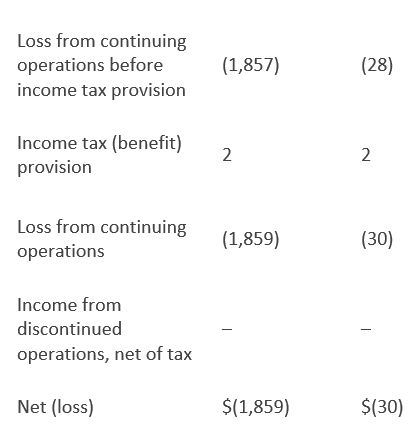 The Company’s net loss in 2018 included non-cash charges of $1,514,000. 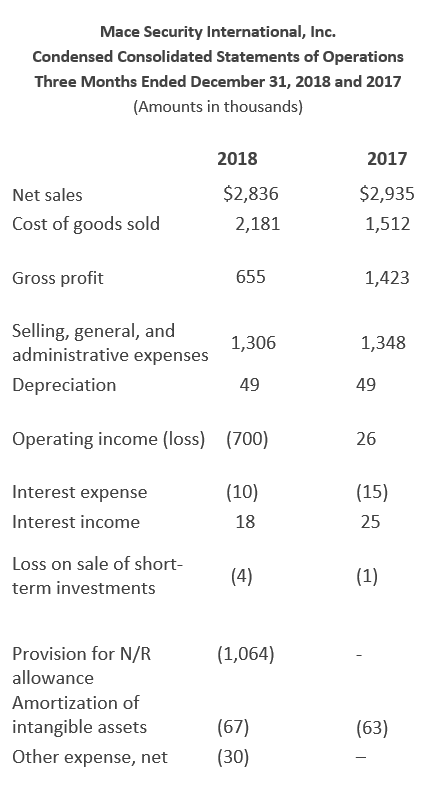 Gross profit decreased ($769,000) or (25.4) margin points compared to the same quarter in 2017 including non-cash inventory write downs of $358,000 in the fourth quarter of 2018; Gross margin for the full year 2018 was 37.9%, including the (3.5%) margin impact for the non-cash inventory charges, compared to 44.1% in 2017. The Company, with the full year of benefit from the 2017 acquisitions of Washington Laboratories and Vigilant, as well as continued growth in its ecommerce channel was able to grow revenues by 15.1% despite flat sales in its largest channels, traditional consumer and sporting goods. 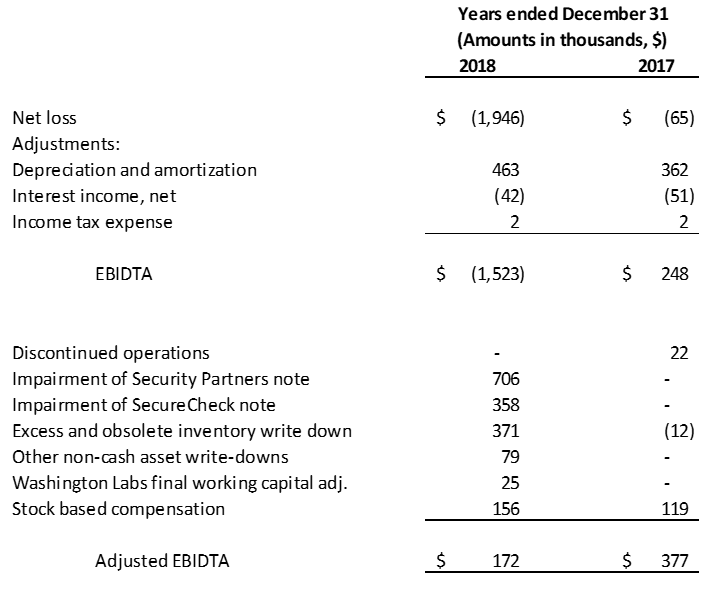 SG&A expenses also held steady as a percent of net sales at approximately 41%. 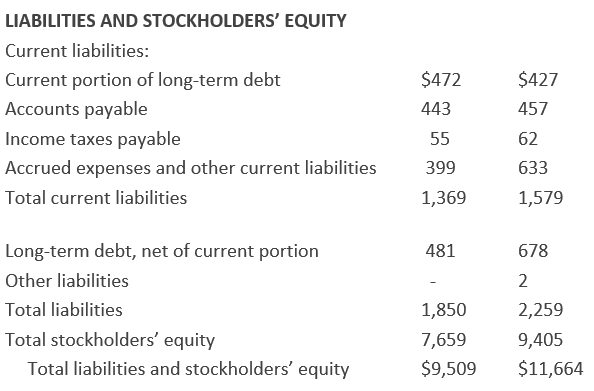 Financial performance was challenged by noncash charges totaling $1,514,000 for the year. Mace Security International Inc. is a globally recognized leader in personal safety products. Based in Cleveland, Ohio, the Company has spent more than 40 years designing and manufacturing consumer and tactical products for personal defense and, security under its world-renowned Mace® Brand – the original trusted brand of pepper spray products. The Company also offers aerosol defense sprays and tactical products for law enforcement and security professionals worldwide through its Take Down® brands, and Vigilant® Brand alarms which is the world-wide leader and number one recognized brand in personal alarms. Mace Security International distributes and supports Mace® Brand products and services through mass-market retailers, wholesale distributors, independent dealers, e-commerce channels and through its website, Mace.com. For more information, please visit www.mace.com.